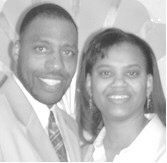 Pastors Luther M. Ruth & Prophetess Ernestine Ruth and the Faith Full Gospel Deliverance Minishies family, 2417 Waters Avenue, invite you to come out and celebrate Family & Friends Day with them on Sunday, September 28, 2008 @ 5:00 PM. The theme is “NO LONGER SERVANTS, BUT FRIENDS”. The guest speaker is Pastor Vernon Galloway of Second Mt. Pleasant Baptist Church. This anointed man of God will break the Bread of Life and the Word will be evenly divided so that there will be something for everyone.